I am not a superstitious person. In fact, I’m a firm believer in stubbornly refusing evidence until the proverbial polka-dotted unicorn literally dances in front of my own eyes. However, history has finally gotten to me, and I’ve no choice but to proclaim the credibility of the infamous third-console curse. Hardware cycles are wholly erratic, but the pattern of the third system of a given manufacturer bombing unexpectedly seems to hold water. Opinions are widely stretched at this point, but the general consensus is that the Xbox One reveal event was an utter catastrophe, and that the system’s sales record will reflect the pessimism. 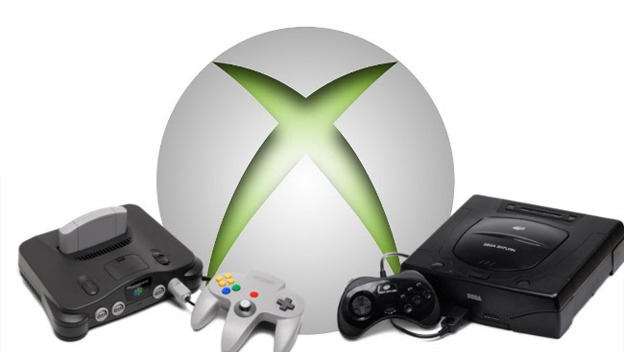 There’s no room for judgments just yet (we’ve at least got to see E3 before we can talk console smack), but the fact that the reveal has been so poorly received among gaming developers and journalists alike has placed an innate doom on Microsoft’s next system. Of course, I’m not going to suggest a hardware apparition without some evidence. I might not be able to place the aforementioned polka-dotted unicorn before you, but gaming history will certainly lend credence to the curse. Let’s start with the most well-known catalyst for the taboo: the Nintendo 64. Following the success of the Nintendo Entertainment System and later the Super NES, the Nintendo 64 was poised to dominate the cartridge age. However, unbeknownst to many, the system was undersold compared to Nintendo’s expectations. Though it went on to earn a solid place in gaming history, the N64 was avoided in its in early days—you could even say that people treated it like it was cursed. But who would say that? Jumping a few generations, we have the PlayStation 3, which saw an enormous fallout following its ridiculous—and obviously quickly lowered—price tag. Skipping a bit further, Nintendo is once again unlucky with the underwhelming reception of the Wii U, their sixth console (excluding handhelds, of course) to date, and still perfectly in-line with the curse’s criteria. And now, of course, we have the Xbox One. True, the timeline looks more than a bit coincidental, but I’m here to do more than hyperbolic doomsaying (fun as it is). This pattern is a microcosm for the habits of gamers as consumers. As such, it translates into an accurate measure of the industry’s ups and downs. However, it is also indicative of numerous problems that the industry is currently facing outside of the hardware sector—specifically in the triple-A side of software development. The primary reason that certain consoles—which are not only more powerful than their predecessors but simply better in most respects—tend to sell poorly despite their manufacturer’s success is consumer expectations. Because the original NES and SNES were innovative for the time, gamers developed overblown expectations for what the N64 would provide. However, asking each new system to add unprecedented innovations to the industry is an unrealistic burden on developers. As a result, fans were disappointed by the minimized improvement gap between systems. An identical disappointment is seen upon the release of much-hyped, long-awaited titles, particularly those who’ve made themselves known by way of “AAA status.” Catastrophes like the Tomb Raider reboot, which is an absolutely brilliant game, illustrate this point painfully well. Tomb Raider’s expense was largely due to its focus on graphics—a focus that eventually snowballed into lavish development costs. As a result, despite the game’s multi-million units sold, the project proved to be an enormous loss, never able to break free from the red zone of the industry’s market. This represents a dangerous fallacy in gamer preferences, and not just where graphical fidelity is concerned. Conjuring our own overblown predictions and then holding developers to them inevitably leads to dissatisfaction, but it’s not the fault of creators. Regardless, the resulting negativity will have a negative impact on the product in question, and, consequently, the games industry. 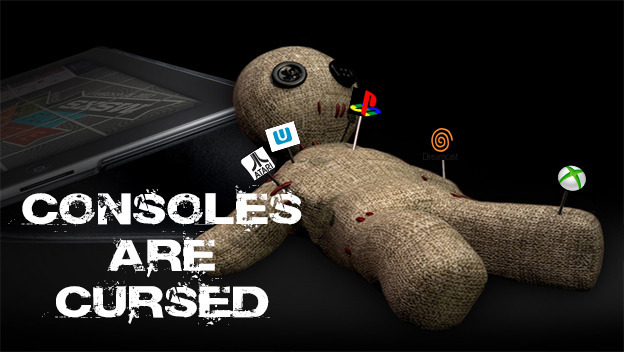 The third-console curse is but another incarnation of consumer avarice, but it is one that currently holds the spotlight given the state of the next gen. Here’s hoping that we, as gamers, can learn a measure of restraint by the time the next lineup of systems arrive, lest we perpetuate the vicious cycle of three yet again.